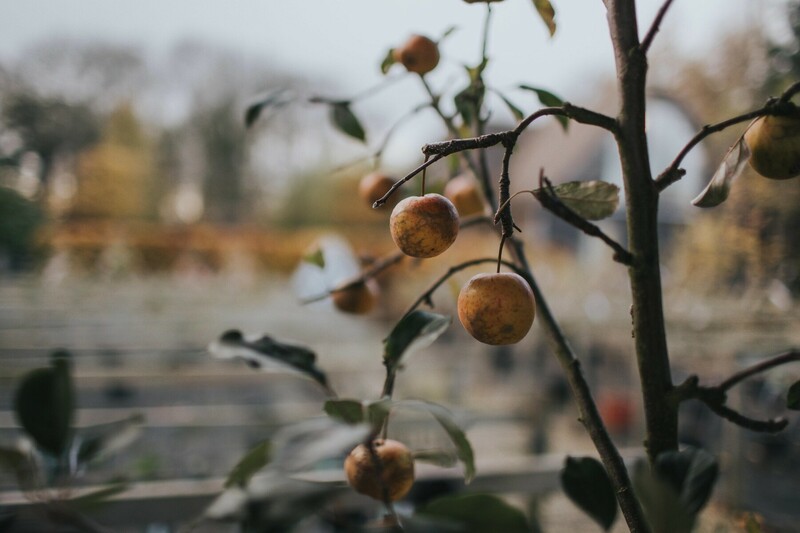 Our range of plants, trees and hedging extends to all the usual suspects: shrubs, a small herbaceous collection, climbers, fruit and we specialise in bigger screening plants and specimen ornamental trees. Our Plant Centre is fully stocked with an extensive range of topiary, herbaceous, trees and hedging. We have experienced horticulturalists on site who can provide advice for planting, screening, species choice and more. Our availability and price lists are kept up-to-date regularly but are not extensive. Please do come and visit us for the full range. 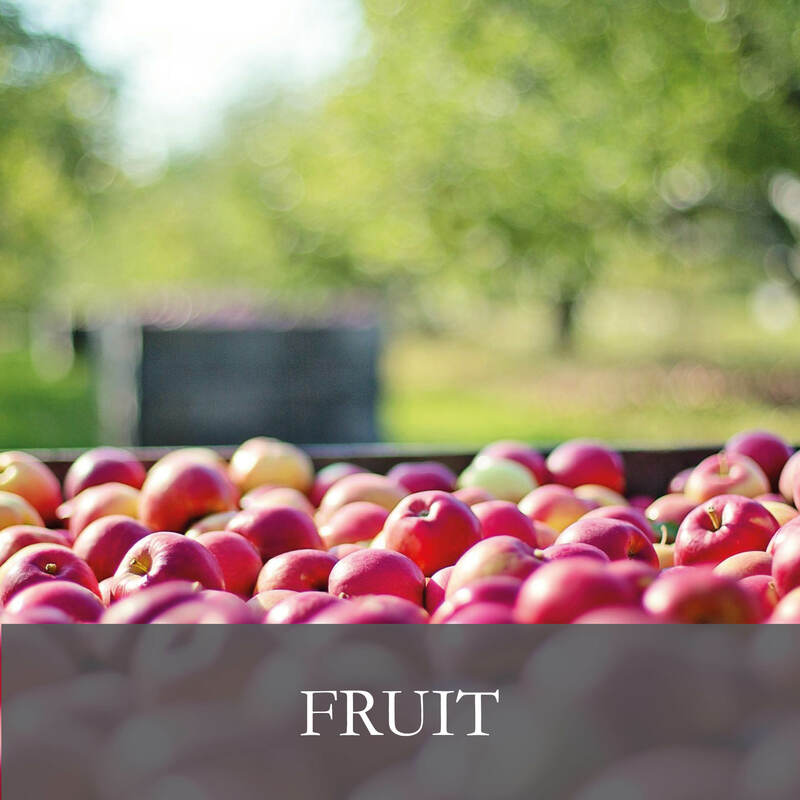 We have over 2000 semi-mature trees in stock and fully trained horticulturalists on hand to give you advice. We also offer a Consultancy Service. This means that we can visit your site and offer full information on what we recommend. Please contact us for more information. We stock a large variety of shrubs from 2L to 50L. 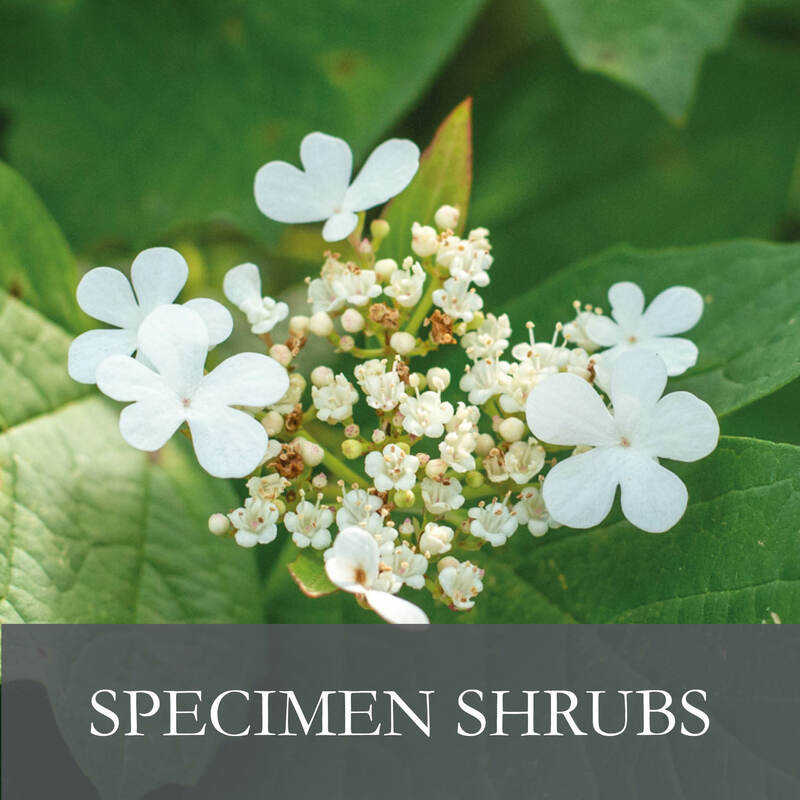 Our range of shrubs offers you a number of options as the focal point of your garden. 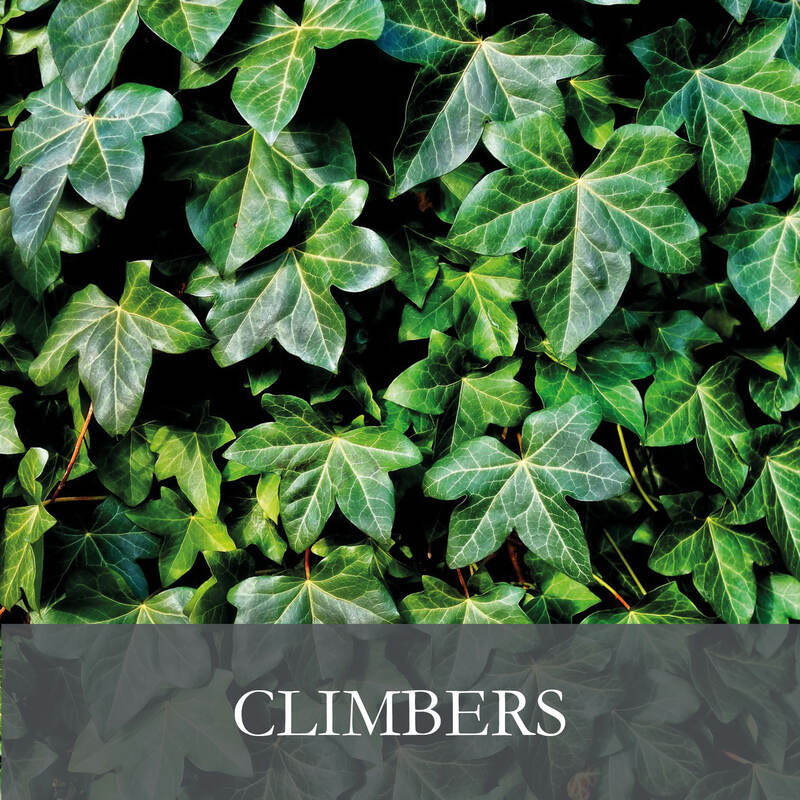 Our variety of climbers range from 2L to 35L. Some of these are grown on a trellis frame so they already have some structure. We offer trees in containers, root-stocks or bare root form. We have many different styles including…stepovers, dwarf, half standard, mature specimen, bush and fan trained. We stock both evergreen and deciduous hedging. 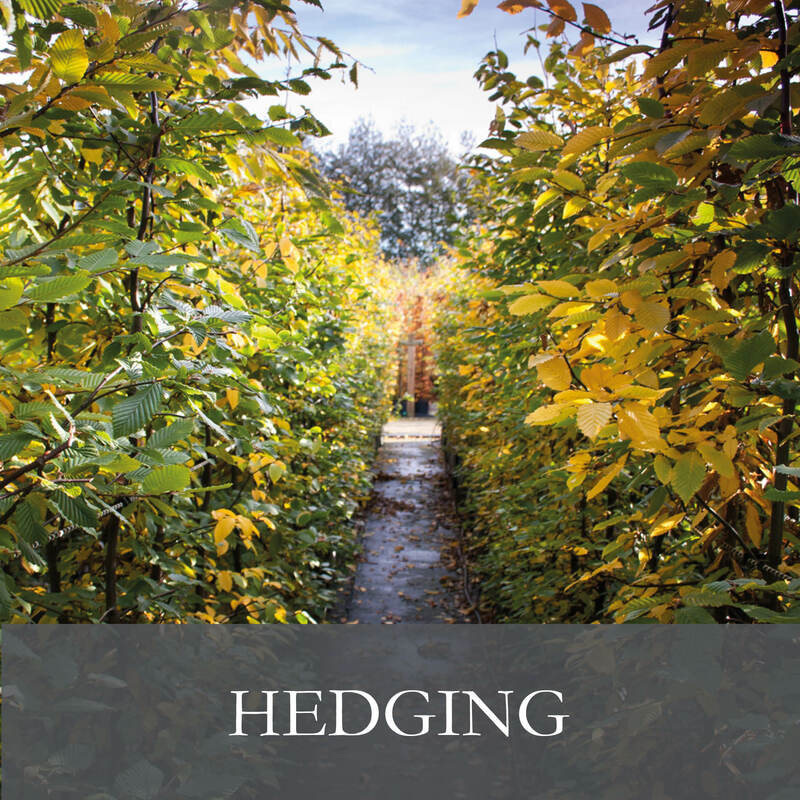 Our hedging plants are sold in bare root form (meaning they have high potential to mature) or as container grown plants. 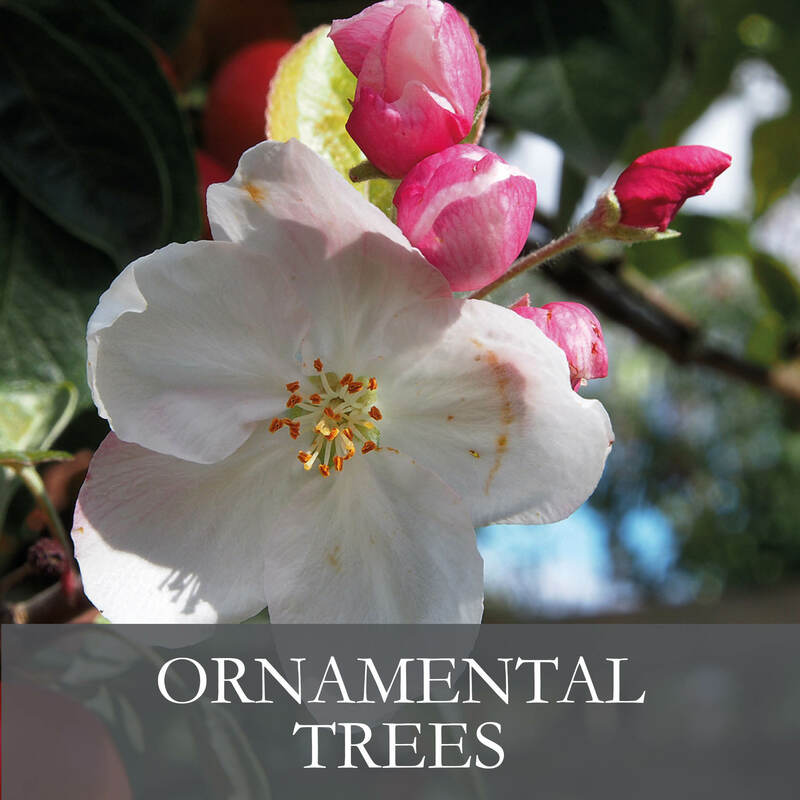 We focus on our ornamental trees being flowering trees, trees with interesting bark/foliage or trees with attractive fruit. We stock in a variety of sizes from 12L to 35L. 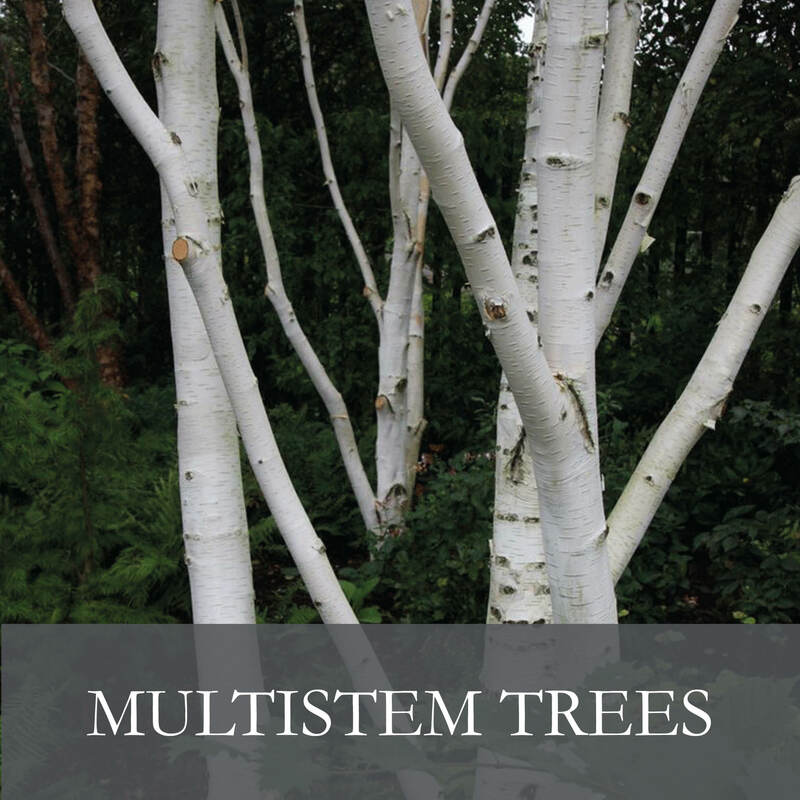 A large variety of trees perfect for landscape gardeners, these are the perfect type for creating a focal point. Nicholsons pride themselves on quality and a good selection. We have the widest range of high-quality Screening Plants in the area. 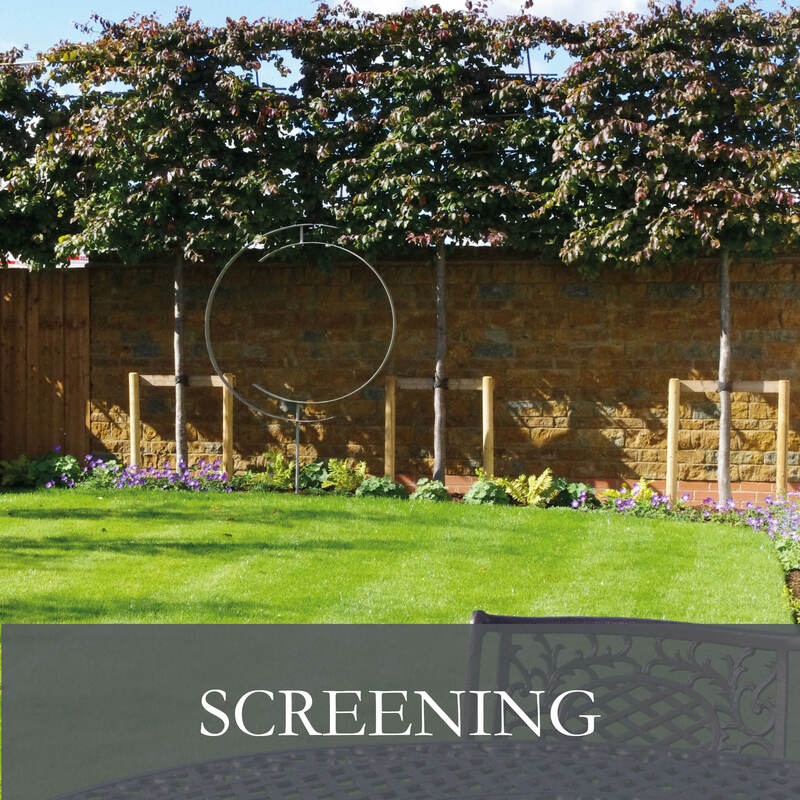 Our range includes pleaches and screens, stilted hedging and hedging, and individual trees. 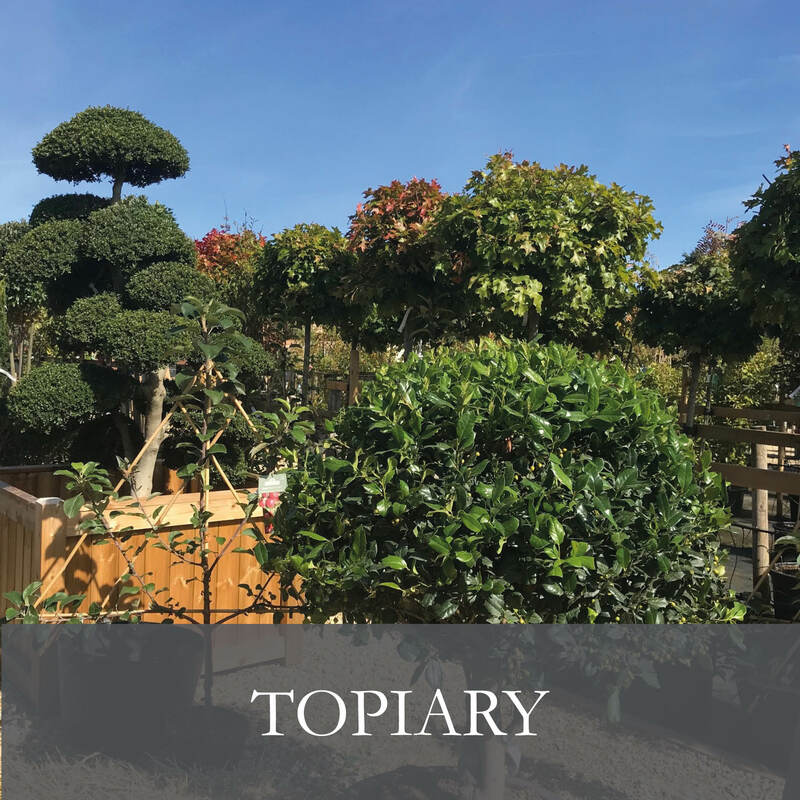 We have a large range of topiary trained and pruned into a variety of shapes. These include anything from classic ball and cone shapes to more unusual pom poms and spirals. Bare root is available from November to March. If there is a delay in planting they need to be heeled in as the root is exposed. 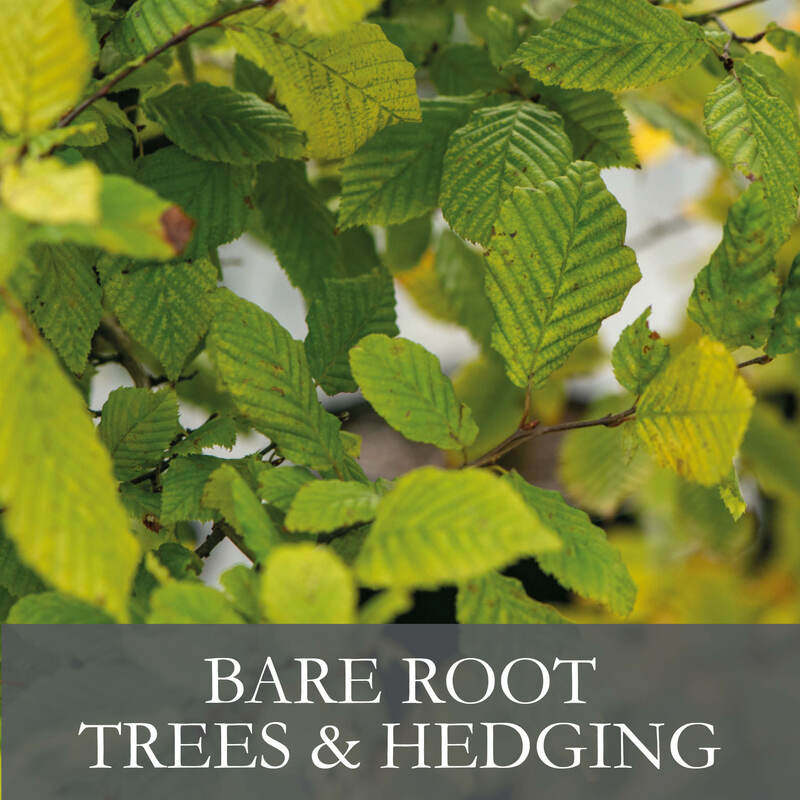 We stock bare root from 40 to 60cm high. 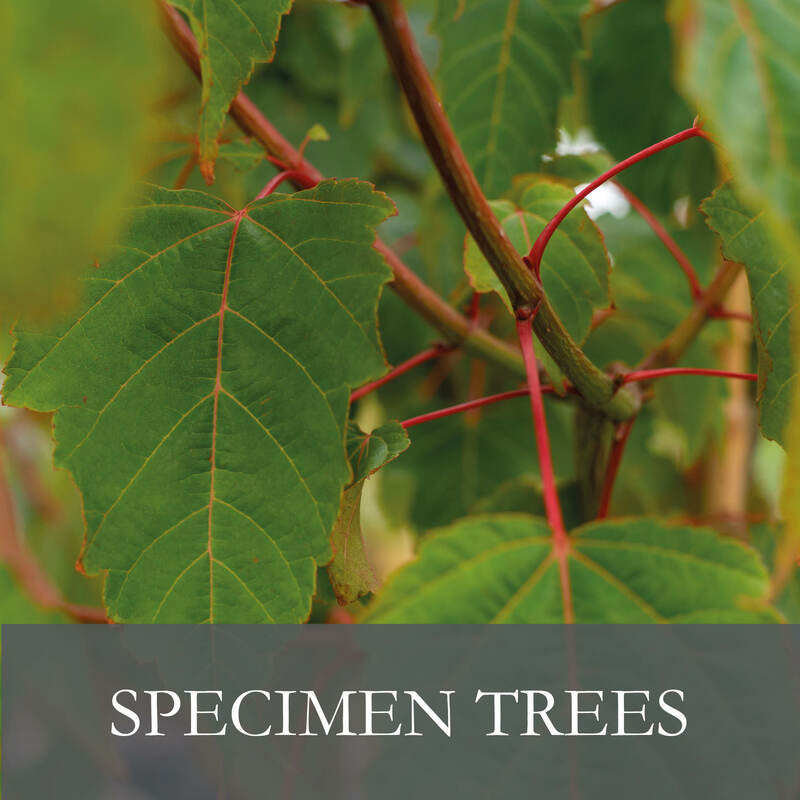 Our range of multi-stem trees includes varieties of Acer, Betula and Prunus to name a few. These trees have a stunning structure. 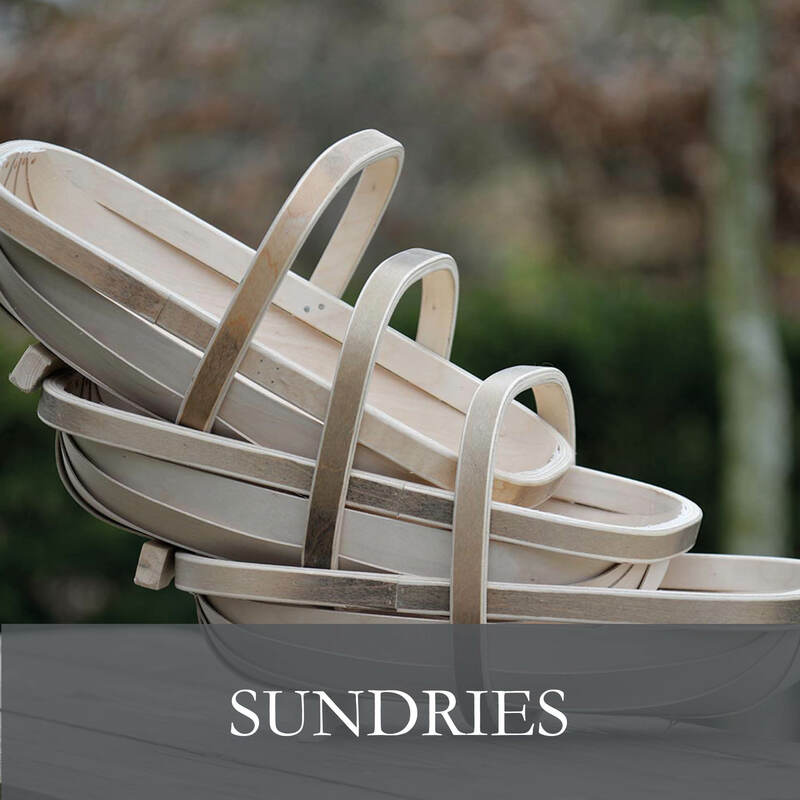 We have a large variety of sundries; including bark, compost, fertilisers, soil conditioners, fencing materials, irrigation parts, stakes, rails and tree protection.